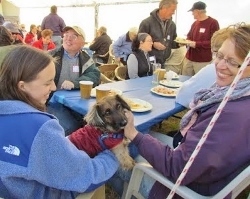 The annual Neuse Sailing Association’s Shrimperoo will take place on Saturday, March 23th at a new location, Oriental Town Marina. The public is invited to join in the fun, which includes plenty of shrimp, assorted foods, and a raffle drawing. The NSA will provide the shrimp, side dishes, some drinks, and music. There is no registration for this event as it is open to the public. Non-members will be charged a fee of $10, which can be applied toward your NSA membership if you join that day. We'll also have a Member Center set up to assist members in renewing their membership and for any guests wishing to join. We ask all members to bring a side dish or dessert to the event.